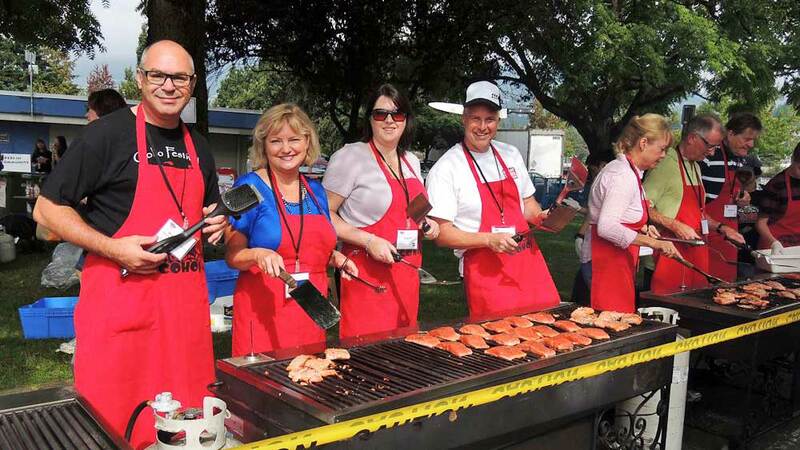 The Coho Festival is held the second Sunday in September and features our famous Coho Salmon Barbecue, the Coho Garden, Stewardship Zone, Kids Park, Main Stage, the Squamish Nation Village. The day starts with a Coho Run, Coho Swim, pancake breakfast and much more. The Coho Salmon Barbecue has been the cornerstone of the Coho Festival since it’s inception in 1979. Most years we feature wild Coho Salmon that is local and/or sustainably harvested. The meal is rounded out with BC corn on the cob and locally grown salad. All plates and utensils are either made from recycled material and/or recyclable. The Coho Garden offers local craft beers, cider and premium wines. Pick up your salmon dinner, grab a beverage and enjoy the waterfront view all while tapping your toe to the live band on the main stage. As we are a family event children 9 and under may accompany their parents into the Coho Garden. The Stewardship Zone has over 20 exhibitors who are all involved in rejuvenating, maintaining and improving our streams, rivers, oceans, parks and forests for now and generations to come. Guests of all ages will learn more about the environment and how to be better stewards of what we have. A must see at the festival. The Coho Kids Park is filled with fun activities for children of all ages. The theme is centred around education, art & culture and outdoor activities. Try out the climbing wall! 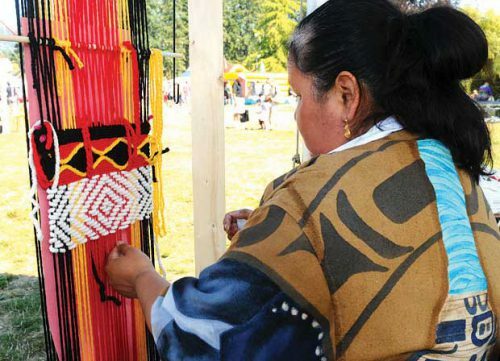 Coast Salish weaver Joy Joseph-McCullough created a wool piece during a recent festival. She also does cedar weaving work. The Squamish Nation will again be participating in the festival welcoming all to Swá?wi (Ambleside Park). The Squamish Nation Village display unique traditions and cultures including their interconnections and relationship to the salmon. 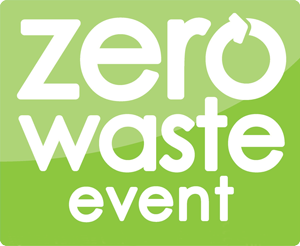 The Coho Festival became a Zero Waste Event in 2013 and continues to have only organic, compostable and recyclable materials on site. With help from WCS Recycling we sent over 5000 pounds of organic and compostable material to be composted and 600 pound of recyclables to be recycled a 99% diversion rate each year. View a photo gallery of the Coho Festival. The continued focus of the Coho Festival is the education on the protection of fish and their environment. The festival is now primarily a fundraising event to assist North Shore stewardship groups’ efforts to rebuild, repair and maintain salmon and other aquatic species and their habitats. It is an event where we celebrate the return of our salmon and can all learn how to be better stewards of our communities and our planet. Why are we eating salmon at the Coho Festival? Every year people ask me why we serve salmon at the Coho Festival if we are trying to save them. The truth is we serve salmon because it is a delicious and important food source for people and animals, and we raise funds to help North Shore stewardship group’s to rebuild, repair and maintain wild salmon habitats to keep salmon numbers high. Before humans set foot on our continent’s west coast, salmon have played a key role in this region’s habitat. Salmon is an abundant food source for whales, orca and other marine life. It is also a staple for bears, eagles and other forest dwellers who depend on strong salmon numbers to survive. Our spectacular coniferous forests would not have existed if it had not been fertilized over the eons by decaying salmon in the forests, rivers, streams and creeks. The entire ecosystem depends on strong salmon populations and we continue our work to ensure salmon will be there in the future for all to enjoy, people, animals and forests alike.